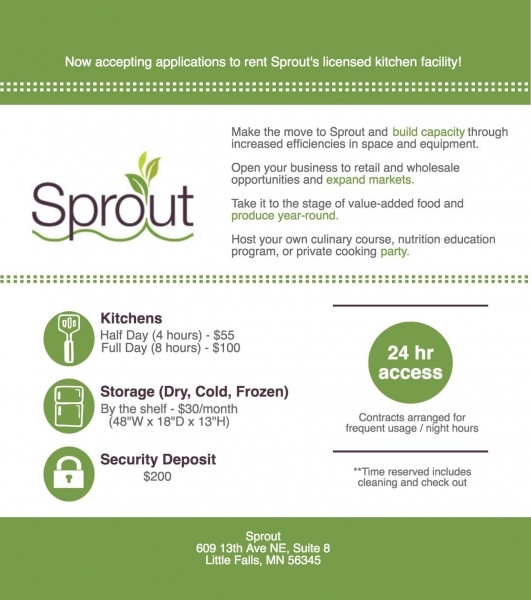 Sprout's Licensed Kitchen Facility builds capacity for local producers by opening them up to retail and wholesale markets. Our state-certified shared-use commercial space is perfect for canning hobbyists as well as those working to make local food a year-round enterprise through value-added food production. 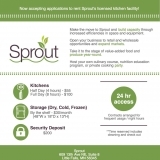 Sprout's Demonstration Kitchen puts many cooks in the kitchen, and that's how we like it. Host your own culinary course, nutrition education program, or private cooking party in a beautiful, spacious, state-of-the-art kitchen. 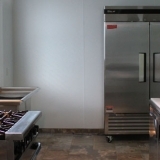 Dry, cold and frozen storage is available for those who are renting the kitchen or anyone who just needs space to house their product for an extended period of time.